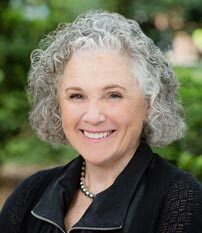 Experience: Pam Bennet is the Firm’s human resource generalist and has been practicing in her field in the Savannah area for twenty years. Her experience is in multiple industries including retail, medical, and industrial in several states. Experience: As business development director, Andrea is responsible for strategic planning, business connection, and increasing growth opportunities for the Firm and its attorneys. She oversees the Firm’s online presence, marketing, and community outreach. 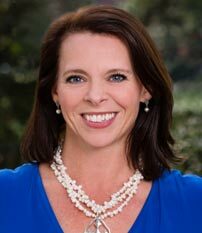 Andrea has a combined seventeen years of experience in non-profit fundraising, board engagement, strategic planning, and brand development and awareness with United Way of the Coastal Empire, Historic Savannah Foundation, and Bethesda Academy. Before entering the non-profit field, Andrea spent over eight years in the banking industry, providing banking, lending, and investment sales and services. Experience: Ouida Fox is the firm administrator. She is based in the Savannah office and oversees the daily operations of HunterMaclean’s offices. Before joining the Firm in 1999, Ouida worked in the same capacity at a Florida firm for twenty years. She attended Georgia State University in Atlanta. 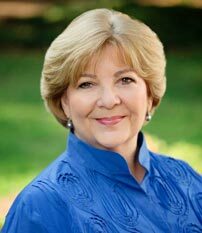 During her tenure at the Florida firm, Ouida was founding president of the Suncoast Chapter of the Association of Legal Administrators, serving as its president for four terms and as a board member for an additional three years. Ouida is a member of the National Association of Legal Administrators and the Atlanta Legal Administrators Association, as well as an associate member of the American Bar Association. Experience: Shawn Hill is HunterMaclean’s chief technology officer based in the Savannah office. Shawn is responsible for overseeing the IT department and ensuring that the technology strategy remains aligned with the Firm’s overall strategy. Before moving to Savannah, Shawn was the IT director at the Bowditch & Dewey law firm in Worcester, Massachusetts, for thirteen years. Prior to his position at Bowditch, Shawn held technology positions at the McLane Law Firm and the New Hampshire Public Defenders. As an adjunct professor, Shawn has taught a variety of college-level credit and non-credit courses in technology. Shawn has over twenty years of experience specific to law firm technology. Overall, Shawn has over thirty years of combined information technology experience. 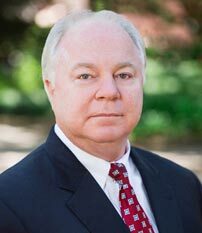 Experience: Steve McKnight is the Firm’s controller, based in the Savannah office. He oversees the financial operations of the Firm. Steve received his associates degree in Accounting and Management Technology from Miami University in 1981 and his B.A. in Accounting from the College of Mount St. Joseph in 1984. During college, he was selected for inclusion in Who’s Who Among Students in American Universities and Colleges. 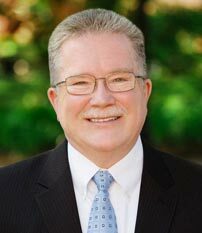 Steve has over twenty-nine years combined experience as a controller, including twenty-four years at law firms: sixteen with HunterMaclean and eight with two Ohio firms. He is a member of the Association of Legal Administrators. Education: University of Baltimore School of Law: J.D. ; State University of New York, Albany: M.L.S. ; Louisiana State University: B.S. Experience: Patti has been at HunterMaclean since 2010. 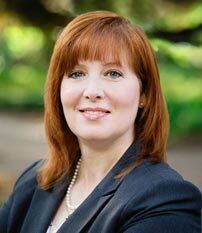 She is responsible for managing the day-to-day law library operations as well as directing long-range planning to meet the research and information service needs of the Firm’s attorneys and clients. Prior to joining HunterMaclean, Patti was a consultant with the Center for Families, Children and the Courts at the University of Baltimore School of Law, where she was the Truancy Court Program Director. She was the Director of the Mercy Southwest Legal Advocacy Program in Baltimore, Maryland, and an adjunct faculty member in the Paralegal Studies Program at Dundalk Community College.